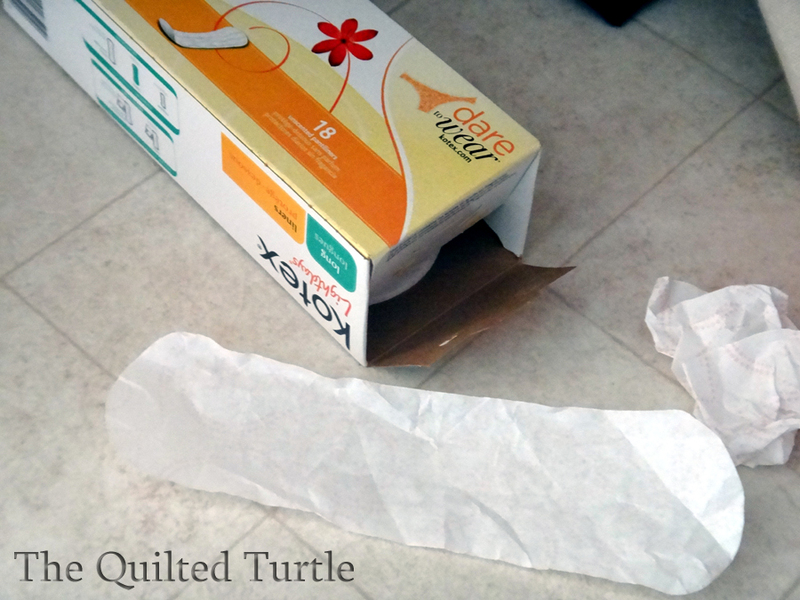 The Quilted Turtle: Band Aide? I went up to my bathroom the other day and discovered this on the floor in front of the closet. It struck me as odd because I am the only one in the house who would have need of that box, and I knew I hadn't left it on the floor. When I asked him about it he explained that he'd scraped his leg and the regular sized band aides weren't big enough so he needed to get out one of the really big ones. Oh. My. Gosh. A story worth retelling to a future wife. How funny. Did the trick though, right? I once broke a toe as a teen and went next door to the neighbors' who were nurses (and that I'd babysat their children for years) so they could take a look at it. Mrs. Nurse cut up a maxi pad, wedged it between the broken toe and the next one, then taped them together. So maybe your son has a future as a nurse or doctor. Lol. LOL - thanks for the morning laugh! Oh that's awesome. S. is a creative thinker...just like mom and dad. How funny! Your son is an excellant problem solver. Enjoy your days of having a son young enough that he would innocently use this product as a bandage. These days go so very quickly.